The anxious energy. The (good) lies. The clandestine cooperation of insiders. Photographing a marriage proposal has got to me one of the most heart-palpitatingly exciting things you can do with a camera in hand. 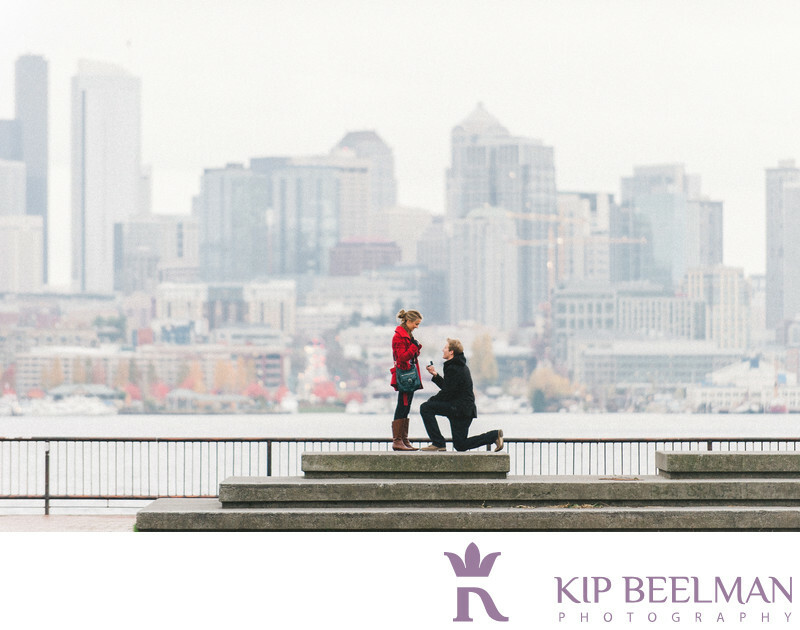 On this cold and gray fall day, I was honored and excited to create live Seattle marriage proposal photography with Lake Union and sweeping views of the skyline as our backdrop. When an old friend rang me up to let me know he was about to pop the question to his longtime girlfriend and he wanted the proposal photographed, we began conspiring immediately on how, what and where. With a little help from his future mother-in-law and a LOT of logistical behind the scenes work, he got down on one knee and she said yes! Their perspective of Gasworks Park and their lives will never be the same again. Location: 2101 N Northlake Way, Seattle, WA 98103. Keywords: Gasworks Park (6), Proposal (3), Seattle (111).